For the past couple decades, the term “Destination Wedding” has immediately conjured up images of turquoise waters, white sand beaches, and palm trees gently swaying in the ocean breeze. But, as brides and grooms are continuing to break the mold of tradition and are having ceremonies that truly reflect who they are as a couple, the word “destination” is no longer synonymous with “beach”. A destination wedding can truly be just about anywhere – we even had a bride shopping for her destination wedding being held in Indiana! So even if the concept of a destination wedding is evolving, what won’t be changing any time soon is the fact that brides want to look and feel great on their wedding day. 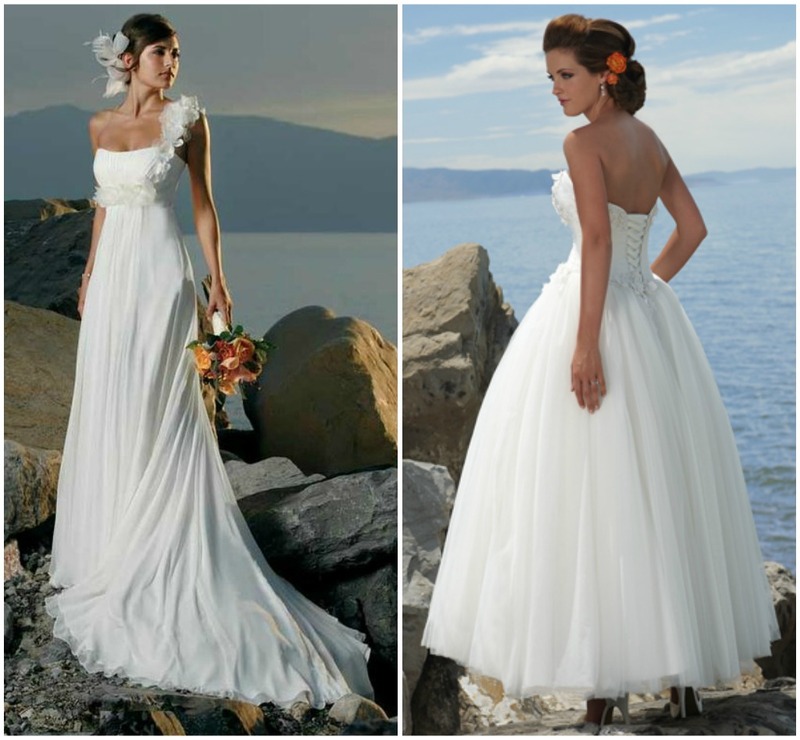 The question is: Does the location of a wedding have to determine the style of dress? 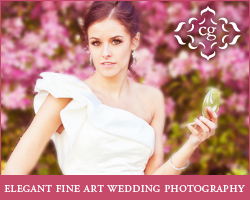 We believe that brides should wear what they want regardless of where they are getting married. Getting married on a beach doesn’t mean you have to wear a bikini, just like getting married in the mountains doesn’t mean you have to wear polar fleece and Gore-Tex® – although you totally could if you wanted. 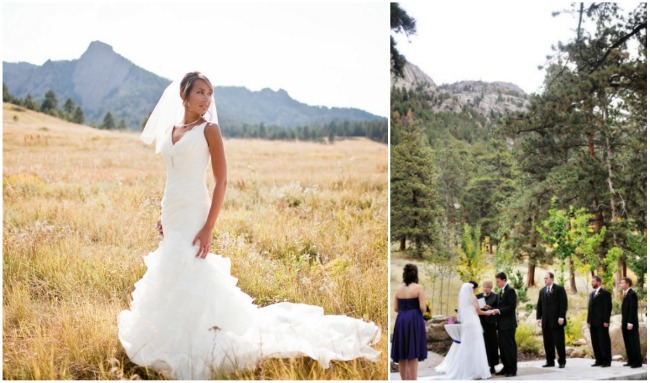 From sea level to 11,000ft up, brides don’t have to limit themselves to one certain style; they can still have their perfect gown. Fabric is an important factor to consider when it comes to deciding on the best dress for the occasion. For instance, a dropped waist gown with a full skirt can look appropriate in any setting, but a thick satin will be warmer and heavier than a lighter weight taffeta. This could make the difference when it comes to being comfortable on a beach or hiking up a mountainside for the perfect photo. Ballgowns don’t have to be for formal weddings only; fabric can play a role here too. Tulle or organza skirts will show movement and be more airy whereas satin will have a richer, more structured look and feel. An elegant chiffon or lace gown can look perfect on the coast or on a wooded hillside, and these are usually more streamlined and easy to transport. Accessories and simple alterations can also transform dresses, making them look perfect against any backdrop. Removing layers of tulle, adding embellishments, sashes, shawls, straps, etc, and of course, bustling the dress can take a dress from mountain chateau to surfside or any place in between. 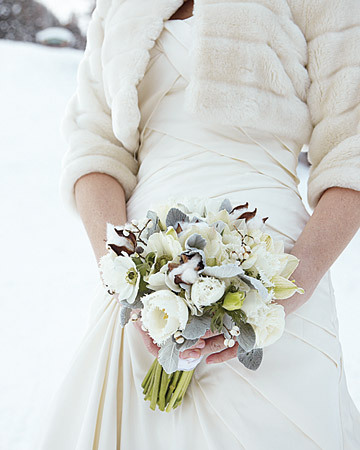 Keeping the gown bustled for the ceremony is also an option if it is more comfortable or better suited for the location. Remember, the location of a wedding should not completely dictate what the dress looks like and should definitely not force a bride into wearing something she isn’t comfortable in or doesn’t love. Most styles of dresses can work in any environment. After all, a confident, happy bride looks good in any setting! DO NOT CHECK THE DRESS!! If traveling by plane, carry the dress on the plane with you. It should fit in the overhead compartment. If not, ask if the flight crew would be willing to put the dress in their closet up front. Ask the resort / hotel where you are staying if they have a steamer to use on the dress, research cleaners in the area to see if there is a reputable place to have the dress steamed, or invest in a travel-sized steamer and bring it with you for any touch-up wrinkle control that may be necessary. Keep the dress in a garment bag that closes properly and has no holes in it while traveling. An opaque bag is also a good idea so that you don’t have to worry about any sneak peeks! Hang the dress up someplace safe and let it air out once you get to your destination – this will help with the wrinkles.